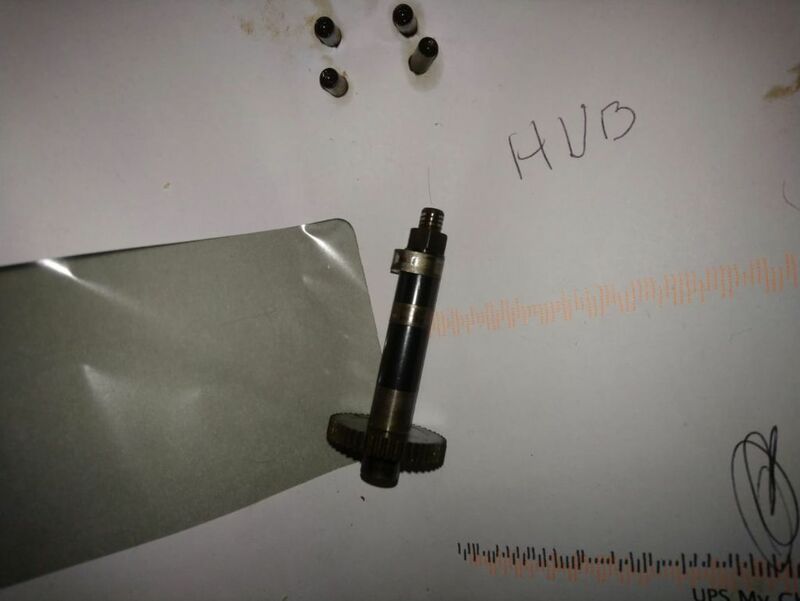 I took this out of a friend's engine - the cam followers didn't have a mark on them! I've never seen wear like it. On the exhaust lobe the wear is only on the trailing face of the cam and on the inlet side it's worse on the leading edge but there's a slight indentation on the trailing ramp. Any ideas other than faulty hardening? ummmm...yup. am i allowed to guess the brand? Not a clue, never touch the things. The contract goes, you run, I won't interfere with you. too small a base diameter for the amount of lift and badly shaped/sized followers? I have seen the like but it was on my 1953 BSA 250cc C11 which seemed to eat camshafts for some reason. Performance would fall off until it wouldn't run. On the last occasion in 1958 he had to drive out with his van to pick me up 40 miles from home. Never with a model engine, though. NGH GF38 had a similar problem I think. Could that be caused by the timing being out (bad assembly)? Weak valve springs and/or tight tappets operating at high temp and max revs causing valve bounce. No - this was in a brand new OS70 ! Mind you, Ripmax replaced it without any argument when they acknowledged that Variable Valve Timing shouldn't be a feature! Dunno if it's clear I had a similar bit of damage to my Saito 60T. Got it second hand it had been run on castor but it was still soft when I stripped it. 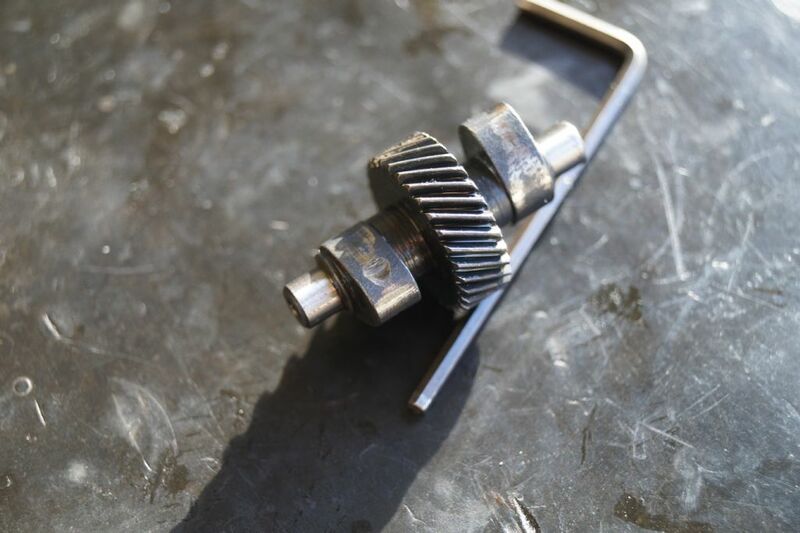 There was no valve clearance and think the follower gauged the cam lobe pricey for a new cam. You need to zoom it right up to see it. Not as bad as everybody else's but not sure if the follower will get caught in it. 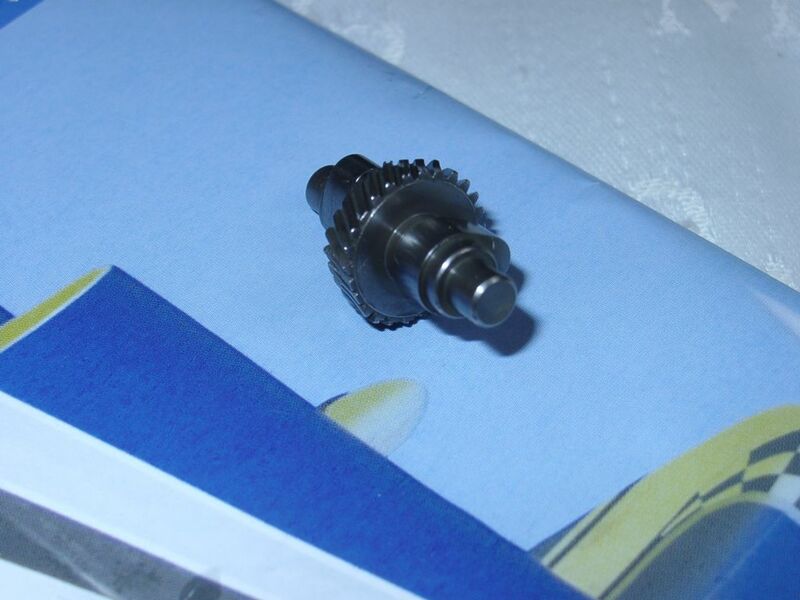 That was usually due to blockage of the oil pipe feeding lubricant to the camshaft. IIRC, a popular modification bodge on some Ford models using this engine was to cut a hole in the bulkhead so that the camshaft could be extracted into the passenger compartment so that the job could be done with the engine in situ! Fuel used would have been club supplied Southern Modelcraft 10% with 15% ML70/2% castor and I use the same fuel in a wide variety of engines (including my own SC120 FS) without such problems so I don't think this was a lubrication problem. Valve bounce is an interesting theory but I believe this engine was always used with a relatively large prop in order to pass our club's noise test. The engine was timed and running correctly but had been unused for a number of years. There was some rusting on the hidden side of the rear bearing but I've seen a lot worse - the ball bearings themselves were not rusted although they may have polished themselves as there was excessive play apparent (the reason for stripping it) after the brief period of running which was not there before, when the engine had felt smooth and free of play. My gut feeling is that it's been caused by faulty material/hardening - the followers don't show any corresponding wear or damage. IMHO, Looks like poor cam surface hardning, most likely compounded by marginal lubrication (residue goo and was the cam oiled pre first start after the lay up). Unlikely to be excessive valve clearance, but if way to tight and the valve springs bind its going bend something or cause the weakest part to fail. With our race engines I was always told to gently rev (continuously change the revs) and not let them tick over due to the increased risk of cam wear due to low engine speed. Taking of valves, my engineering and flying mate always maintains that valve spring are far too strong. Jon, why do manufacturers put ridiculously strong valve springs in? Off the shelf part for every engine? Had a remarkably similar problem on a brand new Sunbeam Stiletto back around 1968! Whole cylinder head had to be changed under warranty, with less than 1000 miles on the clock! It was still being carefully run in, too! Seems very odd that its worn on the side but tops of lobes look reasonable ? 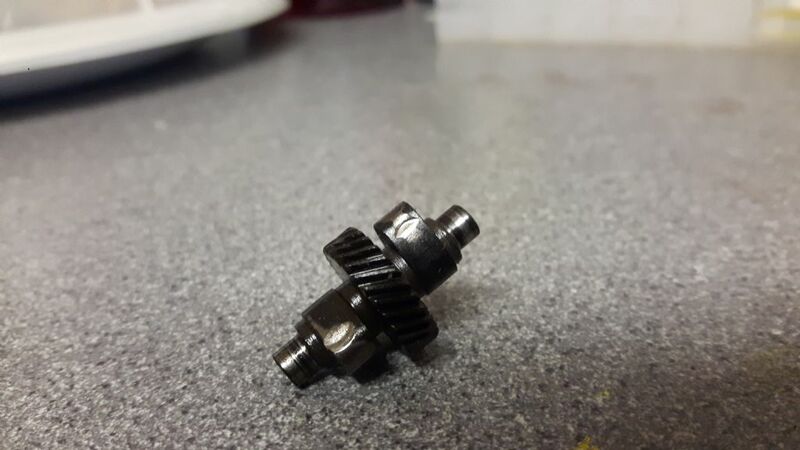 I had a camshaft from a very early OS 120 FS that had similar wear but the tops of the lobes and the followers were shot as well. I suppose bits do slip through the QC system . Very Odd . I'm glad it was replaced without fuss . All Forum Topics > IC Engines > Ever seen the like?